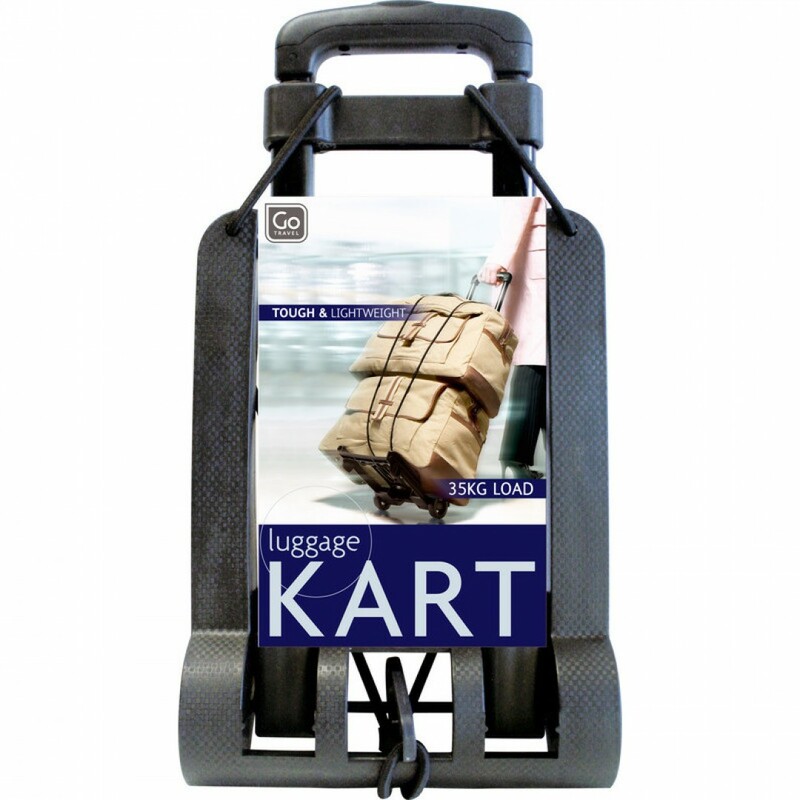 Travel Trolley Go Travel is a lightweight telescopic travel trolley that carries up to 35kg. How many times have you been at the airport and enviously looked on as those smug families with wheels on all their bags glided by without breaking sweat? Travel Trolley Go Travel is a lightweight telescopic travel trolley that carries up to 35kg. How many times have you been at the airport and enviously looked on as those smug families with wheels on all their bags glided by without breaking sweat? Well, join them with this lightweight telescopic travel trolley. Suitable for bags up to 35kg.